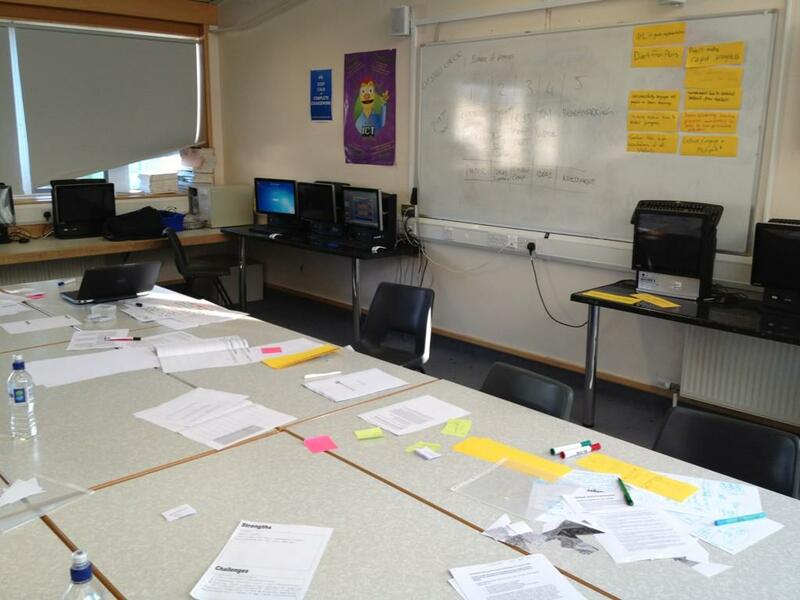 Being part of the Cabot Learning Federation has enabled inset days to become much more collaborative and interactive. With six secondary and four primary schools in the federation, it’s a truly unique opportunity for teachers from different schools to meet and discuss new ideas and produce tangible outcomes that can be put into action. One of my ‘pet hates’ with inset days in the past has been good ideas being generated but no time to implement them. With 5 network meetings in the calendar, this is certainly not the CLF way! During the inset day staff from the different schools met up in their subject areas ready to work through an itinerary that had been collaboratively produced and agreed in a previous network meeting. 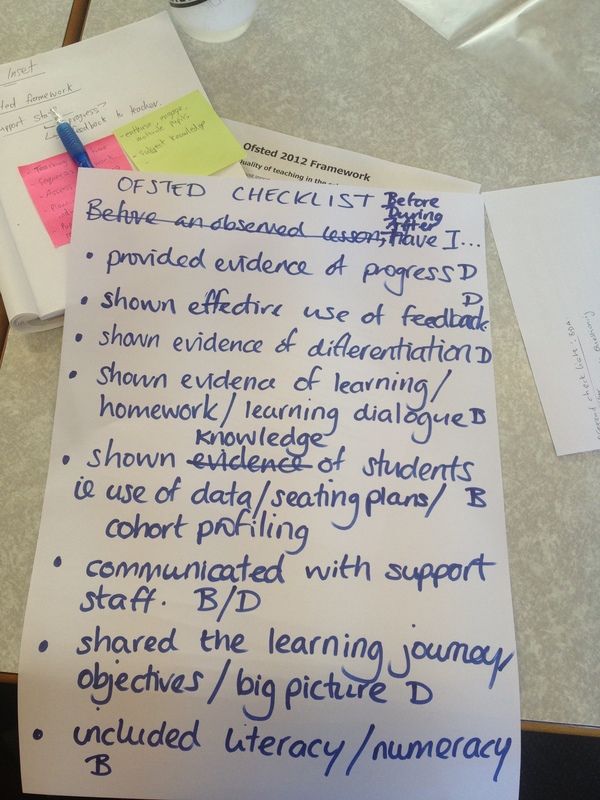 This was not just for teaching staff, separate groups were created for members of SLT and support / admin staff – all with the shared vision of improvement. auditing peoples strengths / areas for development. practical examples of showing progress in a lesson. Click here to see an analysis of the day on Twitter! I always like to get out of the ‘bubble’ of my school from time to time and be on the outside looking in, see things from a different perspective and for the first time (possibly ever) I’m looking forward to the next one!! Stop disadvantaging the disadvantaged // Some practical tips for teaching & learning. Frequency of feedback – is there a better way? Homework: Is it worth it? Probably.